Is a Revocable Trust Really Useful? 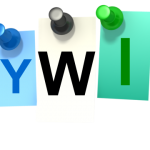 If you are considering whether or not to include a trust in your overall estate plan, you should first decide whether you want a revocable or irrevocable trust. Many people assume that, because a revocable trust does not provide asset protection, this type of trust is not very useful. However, that is not entirely true. As with any estate planning tool, there are advantages and disadvantages to using a revocable trust. The major distinction between a revocable trust and an irrevocable trust is the ability to made modifications once the trust has been executed. As the name suggests, a revocable trust allows the person making the trust (the grantor) to make modifications to the terms of the trust agreement at any time. 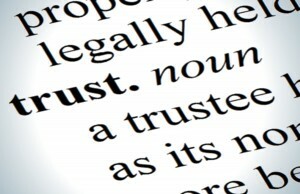 In fact, the trustor can revoke or cancel the trust altogether, at any time during the maker’s lifetime. Once the trustor dies, however, the trust typically becomes an irrevocable trust. Because of the ability to make changes, a revocable trust can be very useful as well as flexible. Whenever your circumstances or intentions regarding your beneficiaries change, you can adjust the terms of your trust accordingly. The steps for creating a revocable trust are basically straightforward. An experienced and qualified trust attorney will discuss your needs and plans for estate planning with you. Once the basic terms have been decided, your attorney will draft the trust document, the legal document that sets out the terms under which your trust will operate. After the trust has been drafted, the next step is to transfer the trust property into the name of the trust. This is referred to as “funding” the trust and it is a step that is often overlooked by clients trying to create a trust on their own. Once the trust is completely funded, the trust becomes the new owner of all of the trust property. One common misconception about trusts is that you must relinquish all of your control over the trust property. This is not the case with a revocable trust, often referred to as a living trust because it is created while the grantor is still living. Once again, because the trust is revocable, you maintain the power to manage and use the trust property as you see fit. Basically, with most revocable trusts, the trustor is named trustee, which means you do not lose any control over the trust property whatsoever. One of the most important benefits of a revocable trust is the fact that it helps most estates to avoid probate. The probate process, necessary for most estates, can be time-consuming, expensive and complicated. Also, the very public nature of probate proceedings means that most people would rather avoid probate if at all possible. A revocable trust can do just that. A revocable trust can also help you to avoid estate taxes, or, at least, decrease your estate tax obligation. 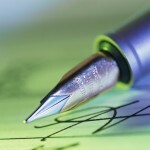 Just like a contract, a trust is a legally enforceable document. 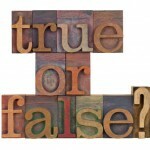 As such, a trust provides certain legal protections that other estate planning instruments, like wills, do not. 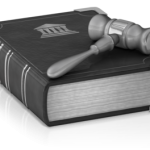 A revocable trust is always enforceable in court. This means that any challenge to a transfer of assets made pursuant to your trust will be enforced by the court, according to the terms of your trust document. There are usually fewer challenges to trusts than wills. A trust may be more limited in coverage than a last will and testament. That is because a trust refers only to the specific property that has been funded or transferred to the trust. Another consideration is whether you need a durable power of attorney, to be used in conjunction with your trust. Because you name yourself as the original trustee of a living trust, in order to maintain complete control of your property, your successor trustee needs to have full authority after your death. The problem that often arises is, your successor trustee will not have the authority to manage any additional property that may not have been included in the living trust. To address this potential issue, you may need a power of attorney, as well. Discuss your options with your estate planning attorney. 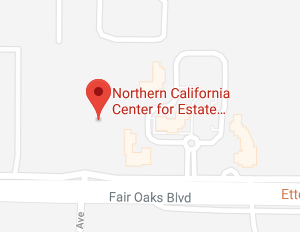 If you have questions regarding trusts, or any other estate planning needs, please contact the Northern California Center for Estate Planning and Elder Law, either online or by calling us at (916) 437-3500. 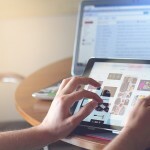 Do Estate Planning Lawyers Recommend Digital Estate Planning? Isn’t a Trust Just a Glorified Will? Are You Sure a Will Is the Best Choice?